Here at The Grove Bistro, relaxation is the name of the game. We offer reasonable prices, good wholesome food quality and we will do everything we can to meet your expectations. With a variety of tasty treats to choose from, we're sure you'll be happy dining with us. Look around our web site and if you have any comments or questions, please feel free to contact us. 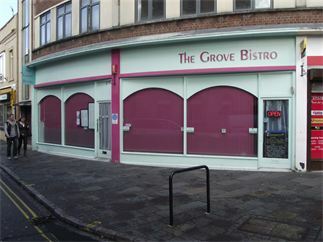 We have been at The Grove Bistro for three years and in that time we have developed a reputation for good food at very reasonable prices. Our menus are designed to suit all tastes and we include gluten free alternatives. Most of the food is freshly prepared with local ingredients where possible.